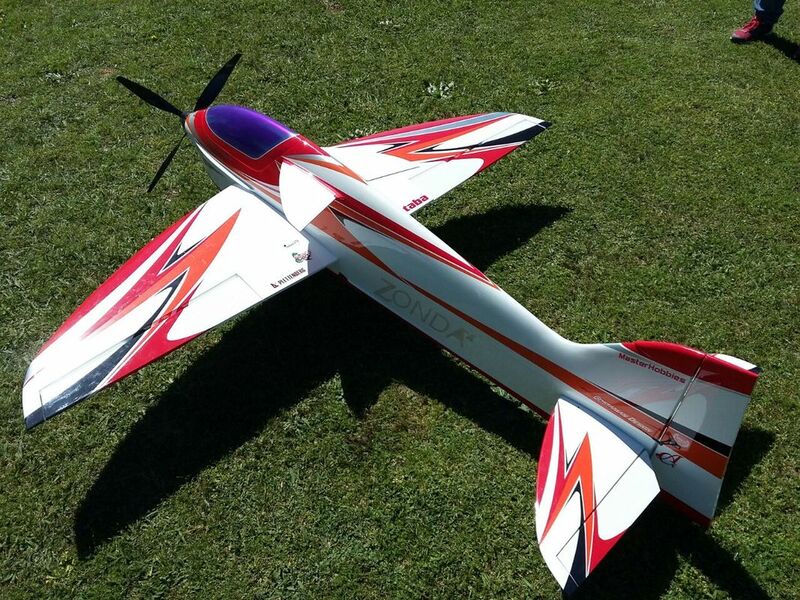 Are you looking for a competitive F3A airplane that really stands out from all the other "cookie cutter" planes? The Zonda is unlike any other aircraft and it shows. Incorporating its unique and effective elliptical shaped flying surfaces, this plane performs. 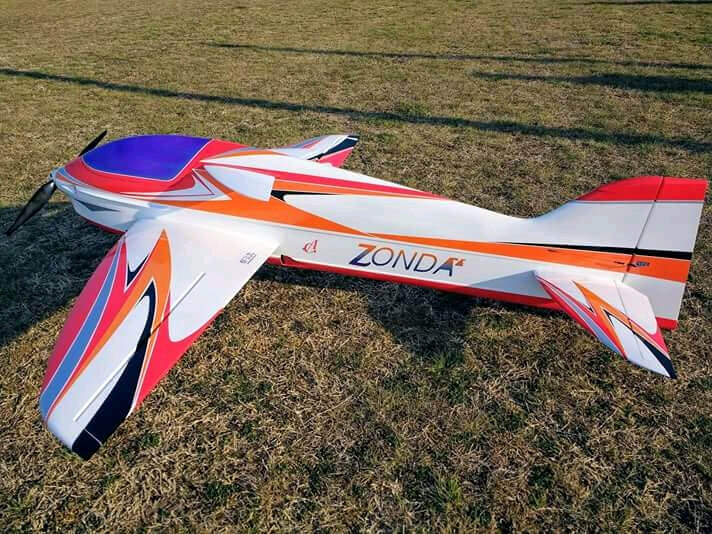 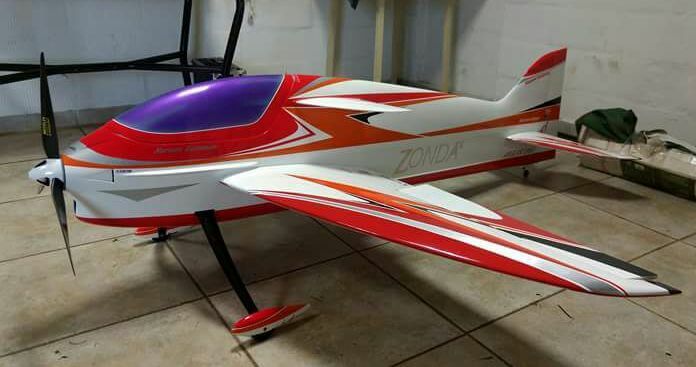 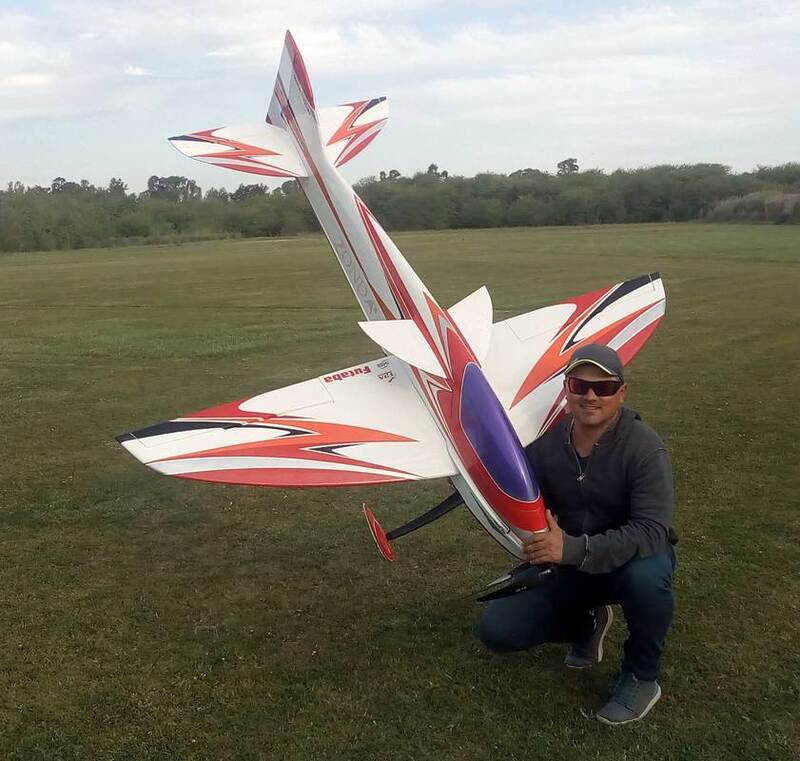 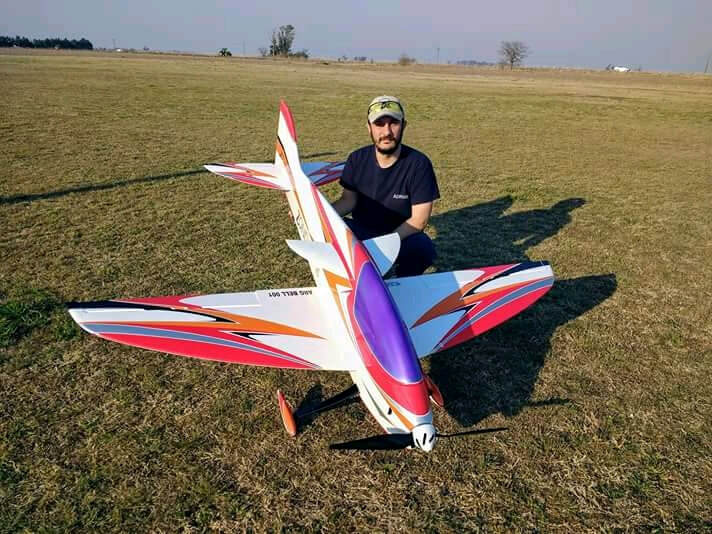 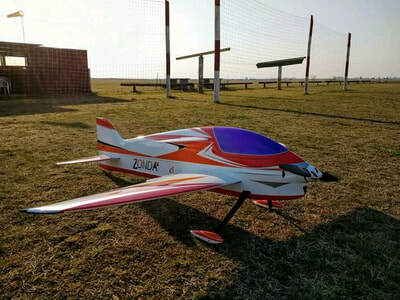 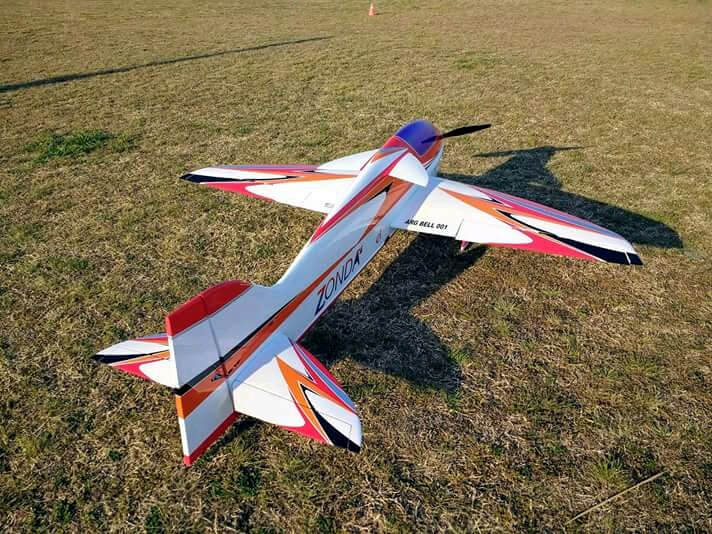 The Zonda two meter electric F3A pattern plane was designed with the intent of providing the pattern community with a competition-worthy airframe capable of competing all the way through FAI. 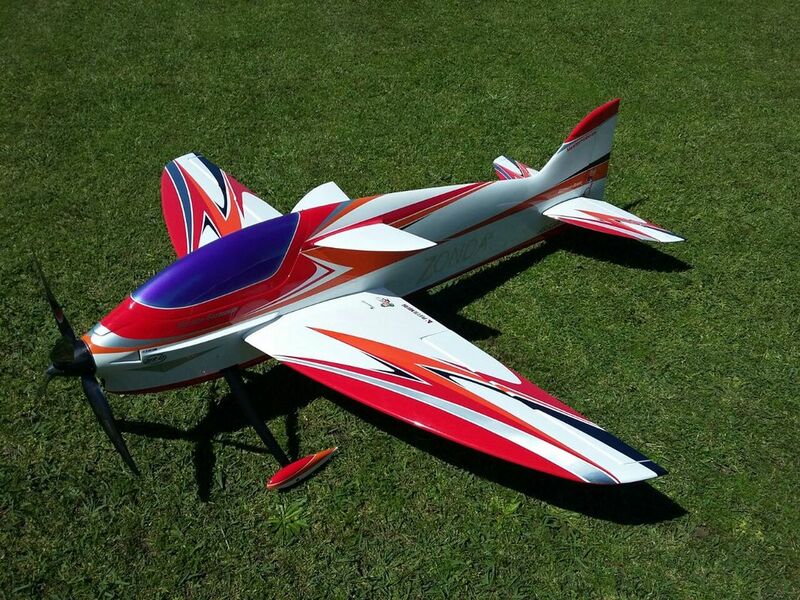 Great care was taken in the design and testing phases of development to deliver an airframe that is aerodynamically sound, lightweight and competitive. 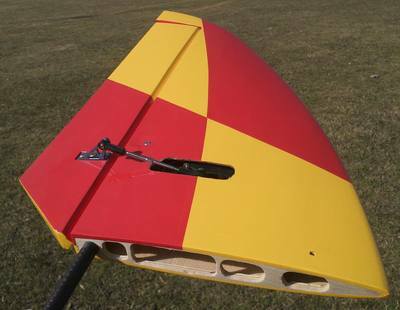 Flying surfaces – traditional building methods are used to construct the flying surfaces; wings, horizontal stabilizer elevators & rudder. This method includes balsa, light ply with contest balsa for the finished surfaces. This affords a smooth, lightweight and beautiful surface to accept the UltraCote covering. 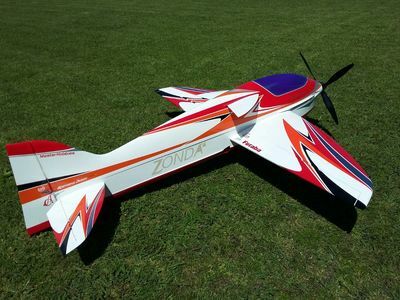 The Zonda is available in three variations. ARC (almost ready to cover) a white gel coat fuselage with sheeted flying surfaces ready to accept your favorite iron on covering and fuselage paint. 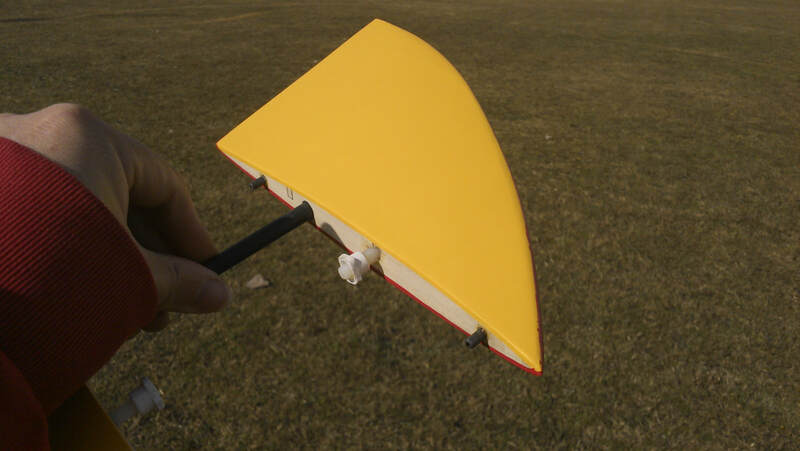 ARF (almost ready to fly) in our standard color, this is the most popular version we sell. 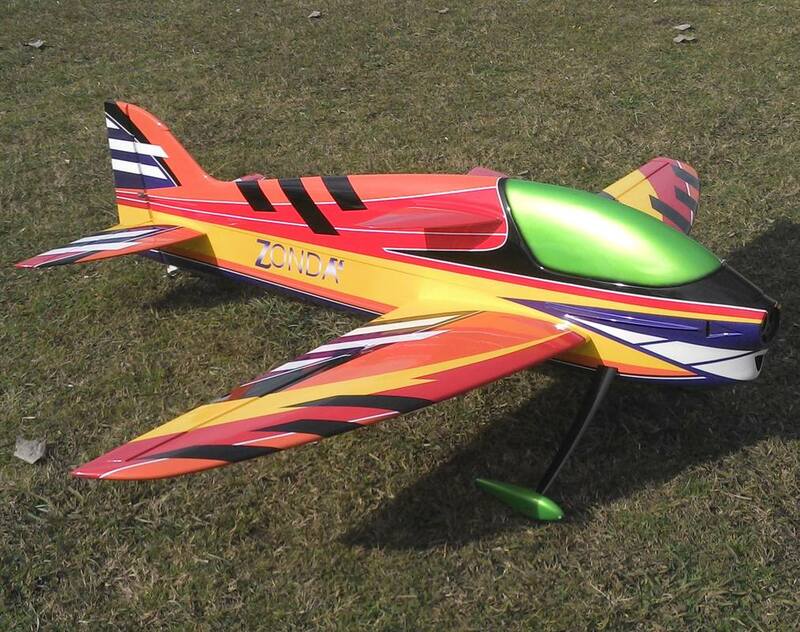 ARFC (almost ready to fly custom) with your custom color scheme. 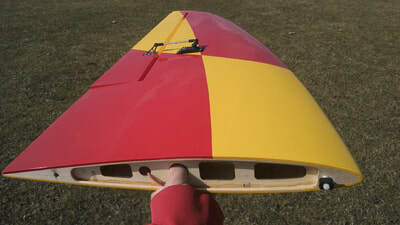 You pick the colors and layout and we will process it for you. 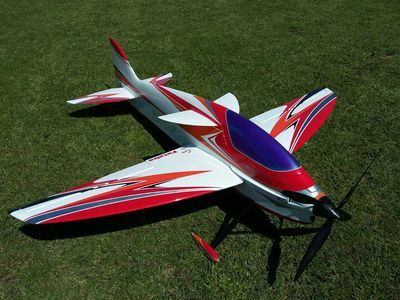 Average cost for a custom scheme is $300. 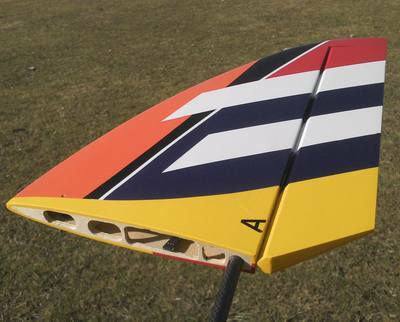 Available on a very limited basis we produce a small run of Custom painted & Custom covered Zonda’s. Example; Andres Pantarotto color scheme (Orange, Yellow, Black) This design clearly has No Equal anywhere on the planet.